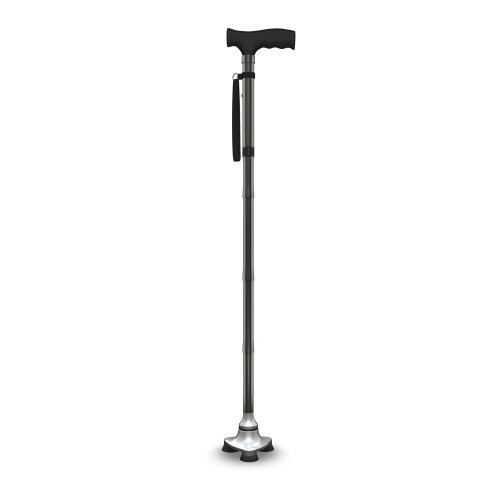 Just like the human foot, the HurryCane® gives you 3 points of contact for superior balance and stability. It naturally simulates your instinctive walking motion. Whether you're sitting or standing, the SteadiGrip™ base gives you more traction at almost any angle. The ankle is the most complex joint in the body because it has the trickiest job: support your full weight while giving you the flexibility to walk, run and turn on a dime. It automatically pivots to help you maintain balance on inclines, uneven ground and shifting terrain. 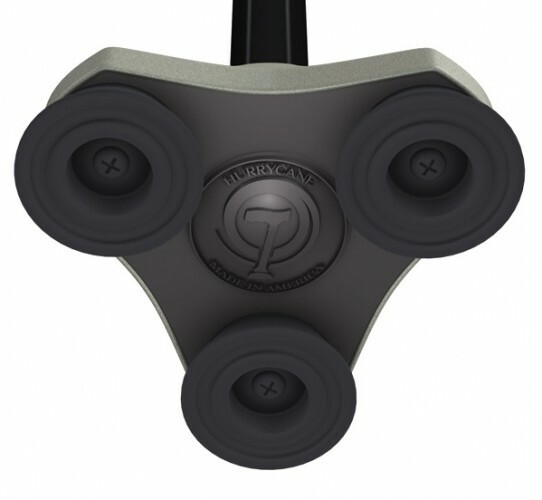 We designed the HurryCane's proprietary pivot head to meet the same demanding standards − and it does it all, automatically. People come in all different heights. That's why we engineered the HurryCane® to lengthen and shorten in seconds. With just the push of a button, it instantly adjusts to the right height. The Freedom Edition™ has 8 height settings, ranging from 30.5" to 37.5". Your knees bend to help you get in and out of restrictive places like cars. But the HurryCane® Freedom Edition™ is even better: instead of one joint, you get 3! 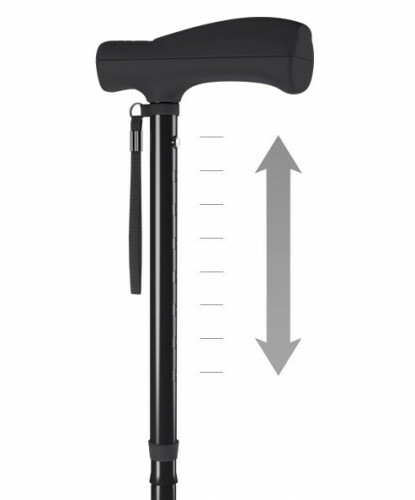 When you need to store it in a purse, glove box or under a chair, the HurryCane® folds up in seconds to one-third its normal size; and when you need it, it can be assembled almost instantly. 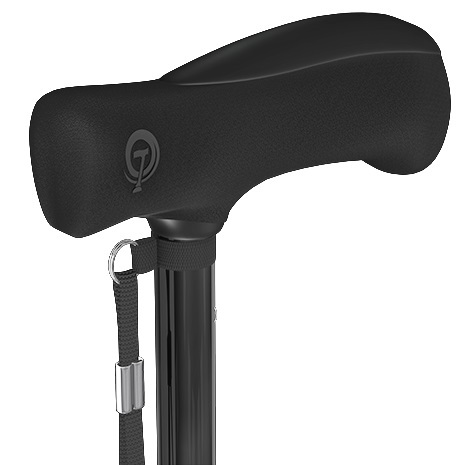 While our cane has three joints, it's still strong and sturdy enough to support up to 25 stone.